Ms. Eliana Givre came to New Way after teaching 2nd grade in Maryvale, Arizona. She’s excited about her New Way adventure and about the Jr. High School team, as the Reading Comprehension Teacher. 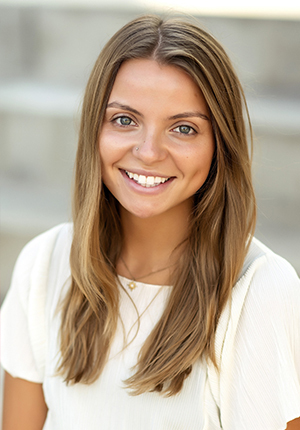 Ms. Givre attended James Madison University and graduated in 2015 with BA in international affairs and Spanish. She is currently attending Grand Canyon University working towards her masters degree in education. Ms. Givre hopes that all students find a love for reading, a thirst for learning and will enter all stages in their education, knowing how capable they are of achieving greatness. Lastly, Ms. Givre is a native New Yorker, born and raised on Long Island. She lives in Arcadia with her cute cat, Lola. Her family still lives on the East Coast and you can find her relaxing on the beach there during vacations. When Ms. Givre isn’t in the classroom, she enjoys hiking, exercising, cooking, and exploring new places!